A mousse is typically a dessert which has set with a light foam-like consistency. The structure is obtained by the combined effects of functional ingredients - a gelling/stabilizing agent and a foaming agent - and the whipping process used in manufacture. Ingredients are similar to those used in ice cream or yogurt premixes, although higher percentages of gelling agents are used. These include gelatin, carrageenan, xanthan gum, guar gum, locust bean gum and alginates. Whipping agents include egg white (in “traditional” products), whey proteins, sodium and calcium stearoyl lactylates and lactic acid esters of mono- and di-glycerides of fatty acids. Some ingredients provide both gelling/stabilizing and foaming properties. Other aerated or whipped products such as low fat creams use similar functional ingredients and processing. Preparation of the premix is the first stage of mousse production; in the next stage the mix is pasteurized and then whipped before being filled into containers and chilled. This part of the process is carried out using a continuous aerator and it is not covered in this report. Liquid ingredients are weighed/metered into the process vessel. Heating follows to aid dissolving/hydration of subsequent ingredients. Powdered ingredients - skim milk powder, sugar, etc. are added to the liquid and mixed until dispersed. The functional ingredients are added. These may be dry premixed with other ingredients such as the sugar, to reduce agglomerates and “weight” the powder to aid incorporation into the liquid. Flavorings (e.g. fruit extracts or cocoa powder) and any other ingredients such as coloring are added to complete the premix. 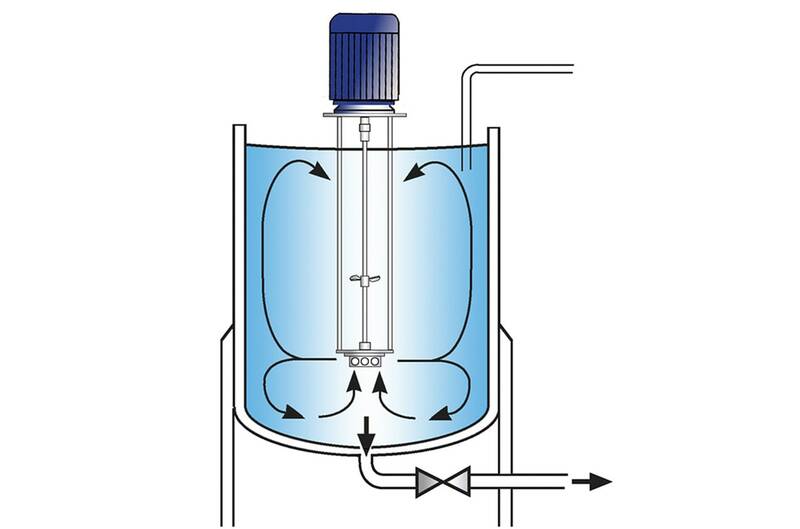 Powders must be added at a controlled rate to reduce agglomeration of particles. Milk powder, whey powder and cocoa powder are very cohesive, making handling and controlled powder addition difficult. Thickening and stabilizing additives have an even greater tendency to agglomerate. Conventional agitators do not produce sufficient shear to break these down. Potential full yield of some powders is difficult to obtain using traditional methods as a degree of shear is required to “activate” some functional ingredients. Heating the water or milk can increase the difficulty of wetting powders, as some proteins will “lump” more. Dissolving in hot or warm water can also increase bacteriological problems prior to pasteurization. Long processing times are required to complete dispersion and achieve a satisfactory consistency. Premixing of powders increases labor costs and process time. Cocoa (where used) needs to be thoroughly wetted out and “cooked” to prevent it imparting a “gritty” or “floury” texture to the mousse. A Silverson High Shear mixer can overcome these difficulties. 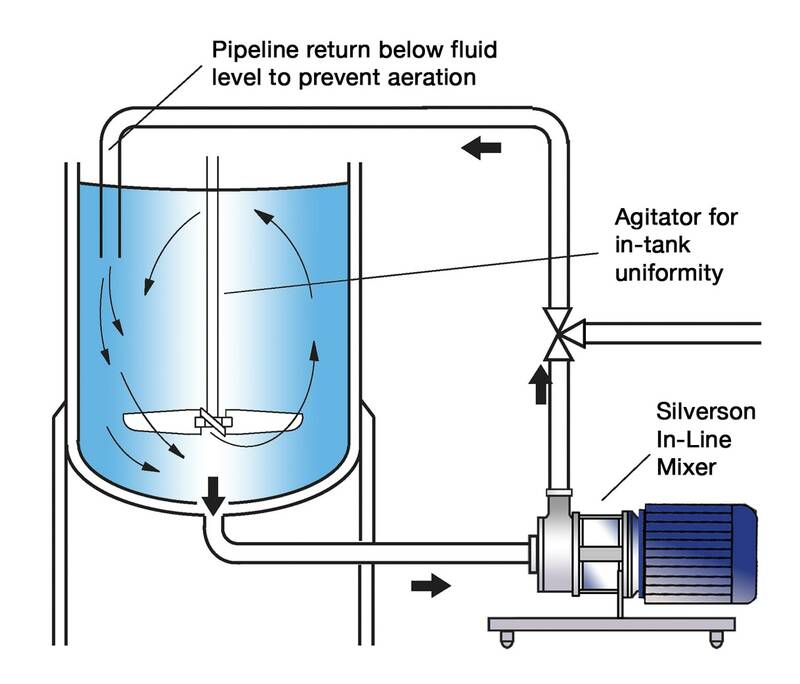 This can be achieved by adding an In-Line mixer to the existing process, for example at the discharge of conventional powder/liquid continuous blending device. This operates as described below. 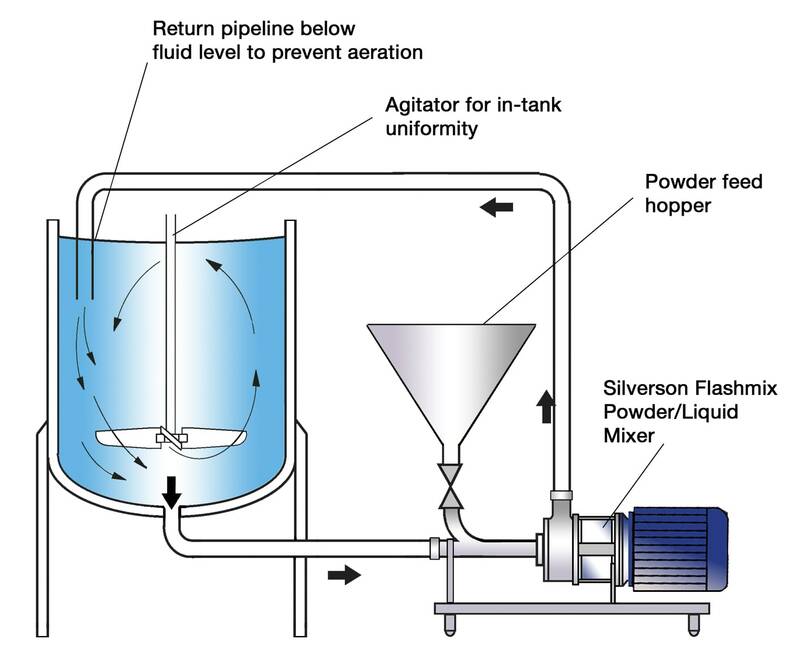 For bulk powder dispersion and large scale manufacturing, the Silverson Flashmix powder/liquid mixing system is most suitable. The high speed rotation of the rotor creates a powerful suction which draws the liquid and powder into the workhead. Centrifugal force drives the materials towards the periphery of the workhead where they are subjected to a milling action in the gap between the rotor and the stator. The product is forced out through the stator as fresh ingredients enter the workhead. 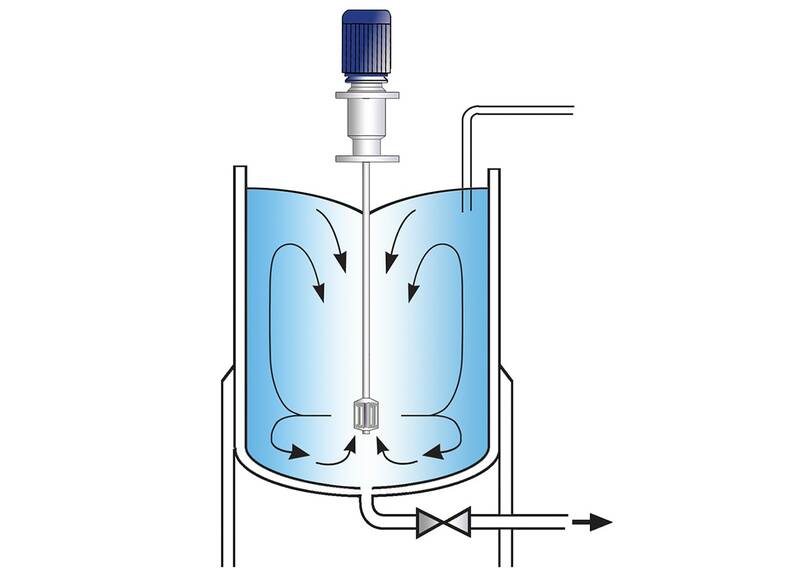 In a short mixing cycle all the material passes through the workhead, accelerating the dissolving and hydration process. Significantly better yield than can be achieved by traditional methods. Dry premixing is not necessary. Powders can be added to cold or chilled liquids. Rapid powder absorption minimizes operator input/error.